On July 18, 1837, one of the most courageous heroes of Bulgaria was born, leaving a bright trail in the memory of Vassil Levski. He is a genius theorist and revolutionary, strategist and organizer of the Bulgarian national liberation movement in the 60s and 70s of the 19th century. For several years, almost alone, he created a number of revolutionary committees in the Bulgarian lands, which are the basis of the April Uprising and the Liberation of Bulgaria, and his democratic ideas are an ideal that is not present today. Vasil Ivanov Kunchev was born on July 18, 1837 in the town of Karlovo in a family of five children in total. After the death of their father, Adolescent Vassil and his two brothers take care of the family. Several years later he was entrusted to his uncle Vasilius, a monk at the Hilendar Monastery in Karlovo. Vassil also adopted a monastic sanctuary in 1858 in the Sopot Monastery and is named after the church name Ignatius. The following year he was ordained a heroyakon. Since church affairs were not enough for the waking youth, in 1862 he went to Serbia to join the First Bulgarian Legion of Rakovski. Thus, the ideas of liberation, organizing of bands and rebellion are revealed to him. The aim is to "awaken" the people to an uprising against the oppressors. He passed through the queen of Ilyo Voivoda and a short retreat in Romania, Levsky returned to his hometown. Over Easter in 1864 in Sopot, deacon Ignatius cut his long monastic hair and takes on the path of revolutionary activity. The rustic curls of the Apostle are today kept in a chapel to his native home in Karlovo. Pretending to die, Levsky orders his mother to bury his hair if he dies somewhere far. 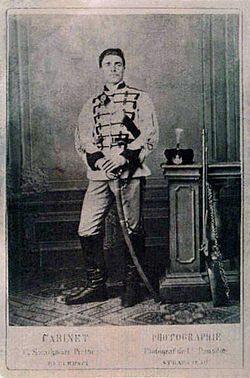 For the next few years, Deacon taught in Karlovo and Enioiu, traveled to Iasi for a meeting with Rakovski, became a flag-bearer of Panayot Hitov's Cheta and participated in Rakovski's Second Legion in Belgrade. Meanwhile, he visits Romania several times, and then begins to travel around Bulgaria to set up revolutionary committees on the ground. The life of the Apostle is stormy and full of dangers. His constant trips to Romania, tours in villages and towns of the Motherland have been noticed by the Turkish authorities and he has been vigilant. However, his skills to represent himself under different identities help him to avoid arrest. In the summer of 1872 Levsky left Bucharest and gave himself to his apostolic activity. In September of that year the deacon was ordered by the Revolutionary Committee to instigate a rebellion but opposed and decided to take back the rebel archives from Lovech and from there to return to Romania. The organized maze of Arakonakak, with which Levsky does not agree, fails, but then the Turkish police are already on the heels of the glorious revolutionary. On December 27, 1872, the Freedom Apostle was captured at Kakrinsko hanche (near Lovech) and taken to Turnovo. His betrayal is probably not the work of a particular person, although it is most often mentioned the name of pop Krusty, who is one of his loyal associates and co-founder of the committee in Lovech. However, according to contemporaries and historians, this is controversial, and some even deny that. Other sources point to Marin Poplukanov, who is the chairman of the same committee. There is still no unmistakable historical evidence of betrayal. Vasil Levski was taken to Sofia to be tried. The brave Bulgarian is defiant, defending himself with all the charges. In his speech, he has repeatedly stated that he has been seeking legal ways to change the lives of Bulgarians over the years and is distinguished from any criminal activity. However, the Apostle was condemned not by a court, but by a commission involving many Bulgarians, Jews and Muslims. 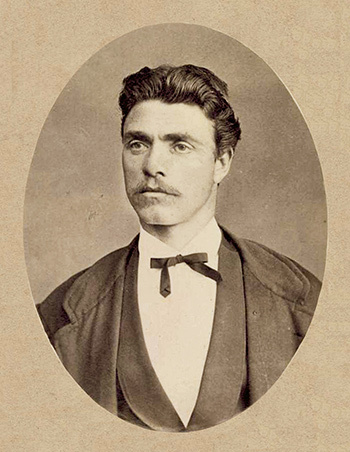 On February 19, 1873, Vasil Levski was hanged in Sofia. In 1895, a monument was erected near his place of worship. The grave of one of the greatest Bulgarians is still unknown. The name of Vasil Levski will remain forever as a symbol of immortality and an example of patriotism in the hearts of the Bulgarian people.